WE ARE DISCONTINUING THIS PRODUCT. Here is an alternative source for technical grade d-limonene. 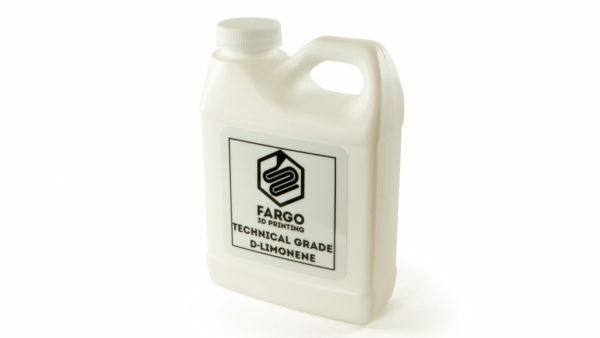 Technical grade d-limonene will dissolve HIPS 3D printing filament used with the MakerBot Replicator 2X and other 3D printers. Using HIPS as support material enables you to create beautiful, intricate prints with dissolvable support structures. This is a 1 pint container.